Large Quantities and 2+ Services = More off!!! 2 hour arrival time window or less. The only cleaning method approved by manufacturers and the only company within a 40 mile radius qualified to do the work in the bay area. Your products will always be left residue-free! Our entire line of cleaning detergents and processes will never cost extra (not to be confused with sanitizers, stain removers or sealers/guards). Whether Child and pet safe, hypo-allergenic, VOC compliant, organic/green, heavy duty or any “special need” cleansers, they’re included at no additional cost! We use our purified water No hose hook-ups or hidden fees, and no chlorine or fluoride that can react with your carpet’s dyes, fading prematurely. Deep cleaning soil and detergent residue EXTRACTION. This means we remove them for good! Residue-free gives longevity to your cleaning and more importantly, a healthy indoor environment! 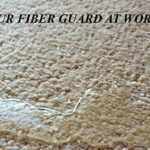 It also preps your carpets to accept carpet guard, so it works as prescribed. We dispose of all we extract. From your house, it goes in our van, and we take it to a drop-off facility. We include this service at no extra charge! OUR BASIC CARPET CLEANING SERVICE IS .45sf REG. The health benefits of thorough cleaning by a certified and seasoned pro is a solid plan. Success can only be accomplished by “correct emulsification” of each type of soil and by an operator that knows the chemistry for them, for safe, effective removal. On top of that, out of the four cleaning methods available to consumers, truck-mounted deep steam cleaning is the only effective method that rids soil and detergents completely. Deep hot water extraction is the “final step in the rinse process.” The same type of rinse we do for our hair cleansers, dish and body scrubs and so on. The actual cleaning is done first before the steam extraction process even takes place. Call for details, it’s important! 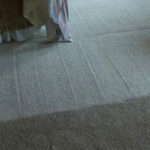 This is our basic carpet cleaning service with carpet guard added. EX: A carpet cleaning with carpet guard usually costing $300 would now be $195. Our most popular service now. 10% off for our basic cleaning service and a total of 25% discount for our full service on jobs under 1000′ that includes sealing the product, and possibly a bigger discount for jobs over 1000sqft! With our basic service, you’ll get the same service mentioned in the bullet points on the carpet cleaning offer above. 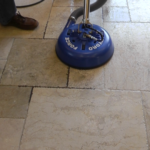 In the case of tile grout and stone, we use penetrating sealers. You will have a choice of what grade you think would suit your needs for your lifestyle. Prices vary; please call for an informative education of options and actual cost. We’re only interested in your needs and won’t push ours on you, ever! 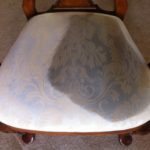 As you may know, maintaining upholstery is a very tedious process and is not a favorite with most professionals that are just looking for a quick buck. To us, it’s all the same and has become a specialty service with us. Many cleanings take a lot of experience and tricks of the trade to assure the fabric colors remain stable and the outcome exceeds your expectations! But that’s what we go for, and some of our most satisfying work is on upholstery. As you can see from our before and during photo above, we can change your mind about reupholstering that favorite chair or sofa. We’ll clean ANY fabric and do it with confidence. Take 15% off our basic cleaning and another 10% off when you include guard for a total of 25% savings. Combine services for additional discounts. Rug care is another service that the average carpet scrubber is better off passing on. After all this time in business, I find that no two cleanings are alike when it comes to wool and silk rugs. It can be very daunting for those so-called professionals that aren’t educated in this art and are then asked to include a Tibetan handmade vegetable dye rug to the wall to wall carpet cleaning. Rug cleaning separates the men from the boys, similar to upholstery cleaning! 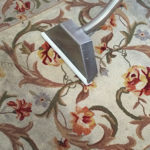 Having spent many years working flood damage restoration, I have a big advantage in hands-on experience that most won’t learn without damaging the rug first. We’ve learned how to reverse dye stain bleeding, control shrinking, and how to remove seemingly permanent staining safely. It makes getting the soil out (including the fringe) second nature to us. All our work can be done safely on location! You’ll find our regular price attractive, but our discount for this sale is an eye-opener!